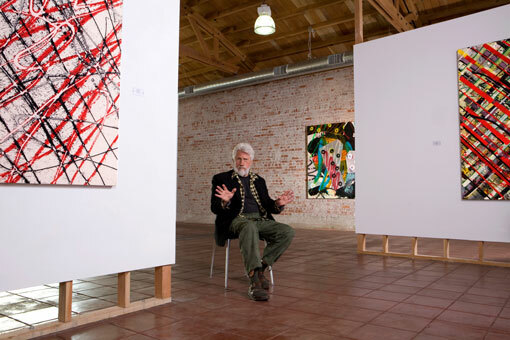 Ed Moses was an important Los Angeles artist who was among the famed Ferus Gallery founded by Walter Hopps and Ed Kienholz in 1957. An extremely prolific artist, Moses’ non-objective paintings span several movements within the history of art. An impressive collection of his paintings was mounted at the Sylvia White Gallery in Ventura and he gave a gallery talk there prior to signing his newly published book simply titled Ed Moses.